With just three days left until Justice League hits theaters, Warner Bros. has revealed new TV spots, which show how two of these Justice League characters are essentially "recruited" into this team of heroes. The first video focuses on Bruce Wayne trying to bring in Arthur Curry (Jason Momoa), while the second shows how Diana Prince (Gal Gadot) could really use the help of Victor Stone. The first video shows Bruce Wayne (Ben Affleck) meeting Arthur Curry at Amnesty Bay, along with footage of Aquaman saving a sailor before literally dropping him off at a local tavern, telling the bartender that the man he saved will be buying the next rounds of whiskey. Another scene shows Bruce Wayne confronting Aquaman as he stands beside a group of Amnesty Bay locals, with Arthur stating that he helps these people because no one else will, as Bruce states that they will need the Aquaman by their side, when it comes time to fight, as we get a few more glimpses of Aquaman in action. The second video shows how Wonder Woman tries to recruit Cyborg, telling this young high school athlete that, "no one can do what you do." Victor responds by stating that him turning into Cyborg was an accident and that he should have died. This Gotham City High School student-athlete also adds that he wakes up different every day, with new abilities that he didn't have the day before. Diana Prince makes it clear that they need him on their team, and we get a small glimpse at the dynamic between Cyborg and The Flash (Ezra Miller), since they're both expected to team up in the Flashpoint movie as well. While Cyborg is easily the most "obscure" character in the Justice League, he may be the most pivotal to this story. Director Zack Snyder revealed in an earlier interview that Cyborg is the heart of the Justice League story, and that he is actually one of the three Mother Boxes that the villainous Steppenwolf is seeking. 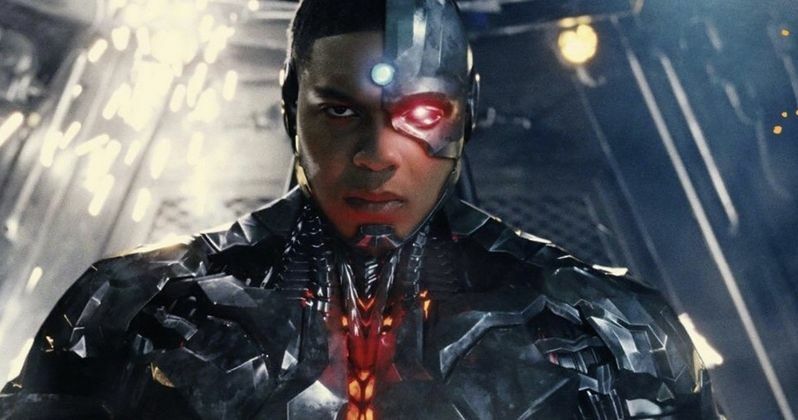 We got our first glimpse at Cyborg during his brief cameo in Batman V Superman, where we saw footage of Victor's father Silas Stone (Joe Morton) turning his son into Cyborg. Fueled by his restored faith in humanity and inspired by Superman's selfless act, Bruce Wayne enlists the help of his newfound ally, Diana Prince, to form the Justice League and face an even greater enemy. Together, Batman and Wonder Woman work quickly to find and recruit a team of metahumans to stand against this newly awakened threat. But despite the formation of this unprecedented league of heroes-Batman, Wonder Woman, Aquaman, Cyborg and The Flash-it may already be too late to save the planet from an assault of catastrophic proportions. Zack Snyder directs from a script he co-wrote with Chris Terrio, with Joss Whedon also getting a screenplay credit for the work he did on the reshoots, which he also directed after Zack Snyder had to leave the project due to a family tragedy. Take a look at these new Justice League TV spots below, courtesy of Justice League Facebook.